It’s been over 2 years since we first published our original Bulking Guide, which lays out a plan of attack for serious muscle mass gains. 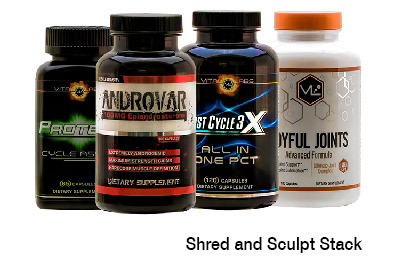 Since then so much new science around diet, exercise and supplementation has been developed we felt it was time to update our Guide and share with our customers the latest tech and techniques for building a physique of large well defined muscle. Let’s be clear, there is no magic here. Diet and exercise are the still the key ingredients to reaching your goals. There are no short cuts, however, what we propose can provide a straighter line to your objectives. Over the past few decades, the bodybuilding community has arguably lost sight of what it means to “bulk.” For many it’s become a season of thoughtless high caloric intake with the excuse that they’re “bulking.” And while they typically end up adding some muscle, you can bet they’ll be adding a hefty layer of fat on top of it. Going through a bulking phase should mean packing on some serious mass, but you shouldn’t be completely sacrificing your aesthetics to get there. In fact, putting on more fat means a longer period of cutting to reveal your hard earned gains. The longer you cut, the more muscle you’ll end up eating, which negates the entire purpose of the bulk in the first place. Don’t get us wrong – you’ll probably be putting on a little fat in addition to your new gains. But there’s a way to do this without stuffing your face. 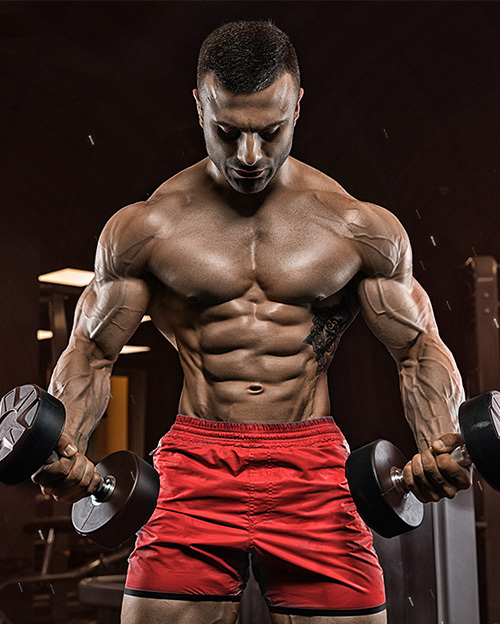 Putting on muscle is no easy feat, so we dug into the latest research and put together this guide complete with diet, training, and supplementation to get you there in as quickly and easily as realistically possible. You can commit to every leg day, train like a pro, take every supplement under the sun, break every personal best you ever went for, but if you cut corners in the kitchen it will be all for nothing. We all know that adding 5-10lbs of lean muscle will look a lot more impressive than 15lbs of muscle covered by another 25lbs of fat. And let’s be honest – stuffing your face with everything in sight won’t do your health any favors. So if you aren’t going to be downing pounds of pizza everyday, what are you going to be eating? So what should your meals consist of? In order to get optimal results from your diet, ideally you’ll stick mostly to “clean” foods. This meaning lean sources of protein (eggs and egg whites, chicken breast, turkey, greek yogurt, lean beef, etc. ), whole grains (brown rice, wheat pasta, potatoes, etc. ), plenty of fresh fruit and vegetables, and healthy fats (avocado, olive and coconut oil, nuts, etc.). That being said, as long as you hit your macros for the day, you can make significant gains without pounds of fat while still enjoying some treats here and there. This means that if you want to have a big bowl of cereal post workout or grab some pizza on the weekend, you’ll still see results. This doesn’t give you permission to turn your diet into an all-you-can-eat free for all, so make sure you’re falling within 5g of each macronutrient daily. This workout split might be a little different from what you are used to. Instead of a body part split, we’re going to focus on increasing training volume by doing full body workouts with focus sessions in between. While you won’t be torching individual muscle groups daily, you will increase both the training volume and frequency, leading to greater muscle growth (4). Remember how Arnold used to train twice a day to grow? This is an advance adaptation of this concept. You’ll add in abs as well three days a week on nonconsecutive days where you feel comfortable. We’re bulking here, so we’re going to completely eliminate traditional cardio and instead aim for 10,000 steps per day. There is also an optional yoga session, but basically the idea is to spend some time focusing on stretching your muscles after you’ve spent five days hitting them hard. For the full body sessions, we will be keeping reps in the low to midrange at 6-10 reps per set for 4-5 sets after you complete all warm up sets. The most important aspect of the lifting is that you lift at a moderate pace without momentum (ie. 2 second eccentric movement followed by a 2 second concentric movement) and lift heavy enough to fail within that rep range for maximum hypertrophy (1). Lift Rest periods should be limited to 60-90 seconds. The unique aspect of this program will be the focus sessions – specific days using only resistance bands to get a pump going in your muscles. This will not only increase the volume for each muscle group during your non-lifting days, but will aid in performance and growth (2, 3). You’ll perform 15-20 reps of each exercise for 3 sets, with your goal being to have the target muscle group feel full after each set. 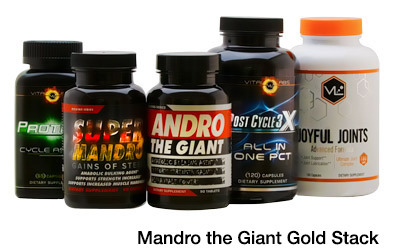 Supplements are like the secret sauce that will help take your fitness goals to the next level. Taken alone, they won’t make an extreme difference. But put in the work, and supplements can give you the added edge to get results you’ve never seen before. If you are a healthy adult male you will definitely want to take a bulking agent – a supplement designed to assist your hormones to increase anabolic activity and muscle building potential. You can add tons of lean mass and improve your strength gains when following a proper training program. 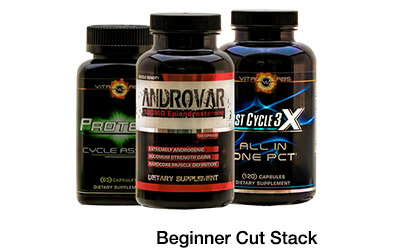 Opt for a natural anabolic if you’re just starting out or want a plant-based option, or check out a bulking stack that includes an estrogen blocker and post cycle therapy if you want more advanced results. A good, quality protein powder is important after a weight training session to help your muscles repair and recover faster. Stay away from protein “blends” – you want high quality whey or vegetable protein that will provide plenty of amino acids, the building blocks of muscle, straight to your body. Also opting for a slow-digesting casein protein at night will help your muscles stay fueled during sleep. Along with your post workout protein shake, you may want to add in a carbohydrate complex. With all the heavy training days, you will exhaust your muscles’ glycogen stores. The carbohydrates will go straight to replenish your muscles at the optimum time for consumption to increase recovery and growth. As with any program, tracking your progress is a crucial component in assessing whether you are headed in the right direction. Take measurements weekly, including weight, chest, waist, hips, arms, and thighs, as well as body fat (can be taken by any knowledgeable personal trainer). Also, take monthly photos in a bathing suit. The camera never lies, and this will help you make sure you aren’t gaining the wrong type of body mass (i.e. fat). So, how long should you be bulking for? Well that depends on a few different factors. Even those who are insanely genetically gifted can only put on a couple pounds of muscle per month. So expecting to gain 10-20lbs of pure lean muscle in a couple months is probably out of the question. Make sure you are setting realistic goals for yourself. 5-10lbs of muscle in a 12 week period for instance is a reasonable goal. Use your body fat and weight to determine whether you are gaining any muscle.